This is the cybersquatter that purchased the domain name scamFRAUDalert.org and is intended to spread malware using SFA.org. remarks: Please send all abuse notifications to the following email address: abuse@nl.leaseweb.com. To ensure proper processing of your abuse notification, please visit the website http://www.leaseweb.com/abuse for notification requirements. All police and other government agency requests must be sent to subpoenas@nl.leaseweb.com. Registrar of Record: TUCOWS, INC.
Record last updated on 01-Mar-2011. Record last updated on 20-Dec-2010. Record last updated on 14-Jan-2012. Database last updated on 26-Aug-2012 14:08:53 EDT. Database last updated on 26-Aug-2012 14:38:35 EDT. Learn how you can get an Enhanced Business Listing here for your domain name. Database last updated on 26-Aug-2012 14:52:59 EDT. Reviewstalk.com is part of a growing network of consumer and scam advocacy sites that have recently sprung up online which sole purpose is to discredit, compete, publish glowing reviews and extortion. They are in competition with consumer advocacy sites such as scamFRAUDalert, Ripoffreport, Better Business Bureau, ConsumerAffairs, and scam.com by manipulating search results to increase traffic. 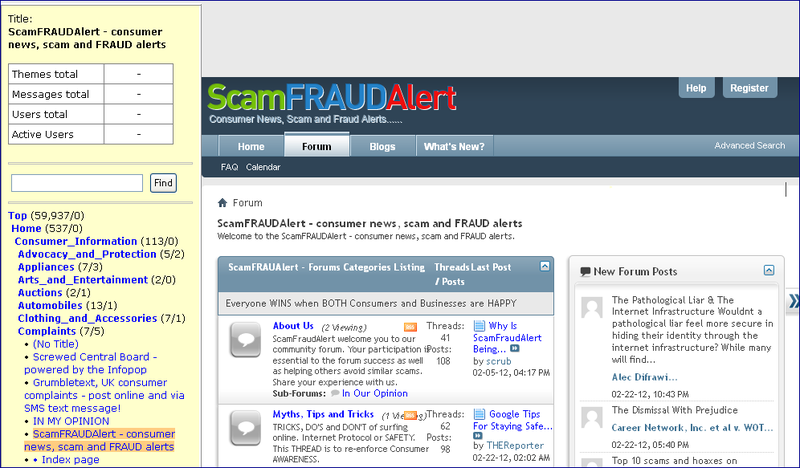 of ever scam and consumer advocacy site online. These sites are internet marketing tools and not consumer advocates. They add no value to fighting scams or advocating for consumer but act as distraction and nuisance to discredit sites that FIGHT SCAM and FRAUD. Comment: SoftLayer provides on-demand IT infrastructure, dedicated servers and cloud resources.